Looking for IPv4 addresses? Get it at IPv4 Mall! Internet Protocol version 4 (IPv4) started depleting several years ago. While version 6 was available, migration was still difficult. No wonder the organizations responsible for handing out these addresses soon ran out of it. The global IPv4 exhaustion—it is called—raised questions about how companies will survive and grow in terms of their internet-connected systems. Companies have since then been looking for alternative sources to buy IPv4 address blocks. This resulted in rise of a market where address blocks can be bought or sold. Since all 4.3 billion addresses have been allocated, it seems reasonable to switch to the next IP version, IPv6. However, it’s not that simple. Even though the business community anticipated this, no one was prepared for the migration. So, it is expected that several companies will continue with their IPv4 addresses for at least a few more years. Most organizations have no choice but to obtain more addresses. After the global exhaustion, it has become difficult to access unused IPv4 space. A strategy need to be laid out for the transition. But this strategy will most certainly include running the two protocols simultaneously for a long time. Buying IPv4 addresses–Where to find them? The need to run parallel IP protocols has helped an ‘IP market’ to emerge. More and more companies are looking to acquire IPv4 addresses for a smooth transition process. Even though there are no new addresses to give out any more, there are some that were handed out previously but aren’t in use. Transfers of these addresses can lead to better space utilization; companies are acquiring IPv4 addresses to incorporate in their long term migration strategy. Microsoft, in 2011, made a huge transfer deal with Nortel Networks. Then, the market value was lower—we still had addresses to give out. Now, the transfers have come to the public domain. To make it easier, brokers like us help companies looking to buy or sell their address blocks. You are connected with a group of sellers to help you successfully close deals. 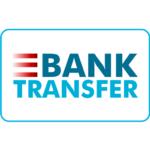 Any hurdles are smoothly erased to make the transfer easier. If your organization is looking to buy IPv4 space, then you’re at the right place. As IPv4 brokers, we help you find the best deals! Get started today by filling out a short form.